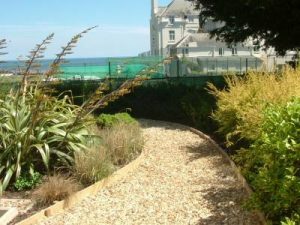 Complete reconstruction of lower garden area to our design with views to sea. 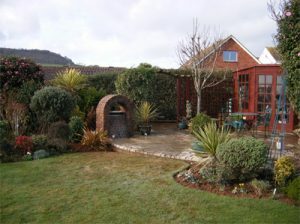 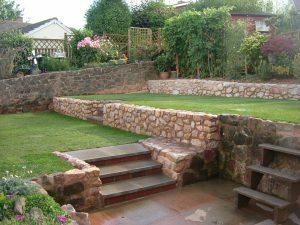 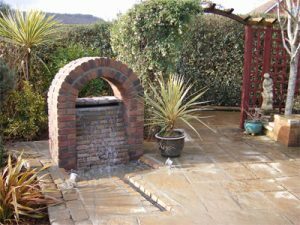 We are a South West based landscaping company for domestic and commercial clients throughout Devon Dorset and Somerset. 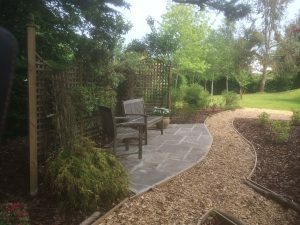 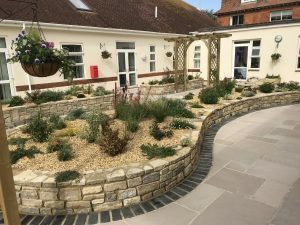 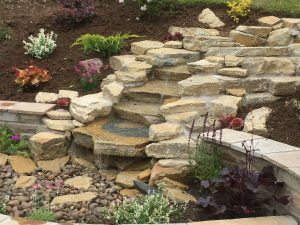 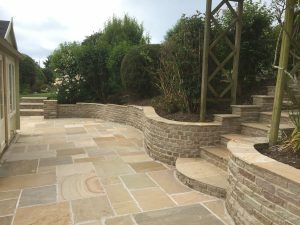 As landscapers we offer design and construction that includes patios driveways turfing planting walling fencing and all repair work plus a soft landscaping service. 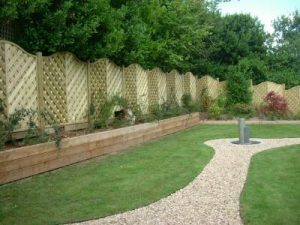 Maintenance Solutions: We also undertake grounds maintenance to both domestic and commercial properties such as flats and offices. 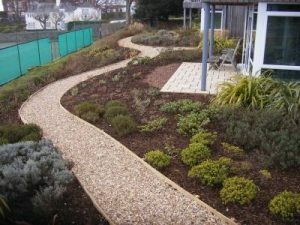 However, if the whole package is not required we are flexible in that you can choose the options you want and even carry out the work in stages so that it becomes more affordable or convenient. 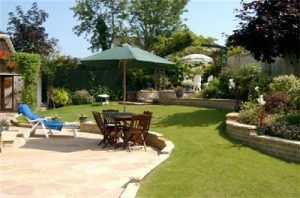 You can decide how much input you want – it is your garden and finance after all! 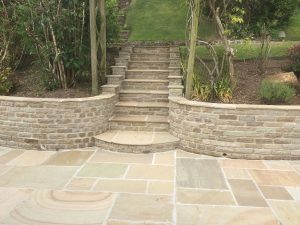 We realise that your ideas are important therefore we listen to what you want in order to interpret and achieve your dream. 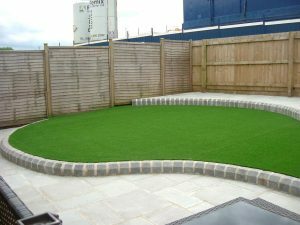 We can discuss a range of options to meet your needs, preferences and budget. 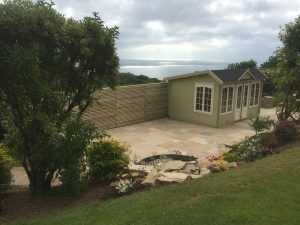 Click below to speak to one of the team and arrange a quote.